Gaining followers and building your page on Instagram is an art. To do it successfully, you have to be aware of the things that are necessary to do so and then perform them correctly. There are very few guides on how you can grow Instagram followers from start to finish with everything you need so I thought I’d write a complete guide to gaining followers on Instagram. From setting up your account to posting content. In this article, I’ll cover it all. To begin with, you have to set up your Instagram account if you haven’t got one already. You want to pick a name that is easy to spell and search for and doesn’t contain a lot of dots, underscores or numbers. Make your username as simple as possible because this will make it easier for other people to find you. Secondly, you want to write a bio and description that attracts people and is interesting. People should quickly be able to see who the accounts belong to. If you have a business account, having the name of the business at the of the bio works fine also. If you are a private person, writing something about you can help you be more personal. Personal is good because it shows that you are human and it´s easier for people to connect with you since it might feel like they know things about you. If you run a business account, write something more personal about your business. People might want to contact you and you should make it easy for them to do so. Have your email in your bio so people can easily find it without searching like crazy. You should also remember to be professional with a touch of personality. Doing so often results in the best bios on social media. Lastly, you want to also add a profile photo because having a profile photo helps you look more human and not like a bot. It can also help you gain more followers in the long run. Your profile picture should be high-quality as with all your content you post on Instagram. Profile pictures with a face tend to get more followers and be more trustworthy so have a picture of yourself if you can as this will help you gain followers. One day you post a picture of coffee, the next day you’ve got a shot of you skiing, the next, maybe you’ve posted about video games. How many Coffee drinkers do you think care about video games? Or gamers want to see someone skiing? This isn’t compulsory, but you’re going to have an easier time finding and keeping followers if you have a specific niche you fit into such as Landscape photography, Portraits, Lifestyle, Mum’s, Travel, Comedy etc. By deciding on a single niche that you are going to have on your Instagram page, people will be able to know what to expect from you and you’ll attract people who will be genuinely interested in your niche instead of them starting to follow you and then unfollow you because you’re posting random images that they aren’t interested in. What kind of followers do I have? What does my followers enjoy? What does my followers not enjoy? By asking yourself these questions you can quickly get a better picture of what you should post on your social media and what you shouldn’t post. When posting something less popular, it usually shows very clear in the form of fever likes or comments for example. By looking for these differences and taking wisdom from it, you can adapt your own page(s) to maximize your engagement. Just like a business, you remove things that are less popular by the customer and try to find new ways of reaching the customer (or in this case follower) and connect with them. This step is incredibly important. This is because Instagram is built off of content and if you want to grow your followers, a lot of it depends on your content. The single most important tip that I see people committing almost every day is posting low-quality images. No one wants to see blurry images on Instagram! It’s 2017! If there is something that you should take with you from this article, it’s never posting low-quality images. To grow your Instagram followers, learn the basics of composition, photo editing and colors and you’ll come a long way. Spend time learning about “the rule of thirds”, “the golden ratio”, and other composition techniques. Watch YouTube videos and practice editing your images. If you are producing content that is visually appealing, more people will want to follow you. Something you should also consider is the amount of posts you post each day. First of all, the best frequency to post on Instagram really depends on you and your followers. You have to ask yourself the question “How can I tailor the frequency of my posts on Instagram to get the ultimate results?”. And luckily, I will provide you with very helpful tactics that can help you decide how many posts are ideal for you. Most people agree that you should post at least once a day in order to keep your followers updated and reminded about your existence. Do have this as a minimum requirement and then experiment with for example 2 posts a day for a week and then measure your results. If the answer is yes, you might be onto something. Then you can try to post 3 times a day on some days and see what results you are generating. Are you losing followers because you are spamming too much or d your followers just enjoy more content from you? It is said that practicing is better than studying in some cases and this is true in this case. You won’t learn very much by thinking about how many posts you should post. Instead, go out and test and then write down the results of your little experiment. This is often how most people on Instagram find their ultimate post amount so why should’t you try it as well? It might be helpful looking at how many posts your competitors are posting on Instagram per day. Pick out some of your biggest competitors that are sharing about the same thing as you and write down how many posts they are posting each day. You should also note their engagement because there are a lot of pages that aren’t posting the ultimate amount of posts because frankly, they didn’t even know such thing existed. Compare amount of posts and engagement and see which amounts seems to get the best response. 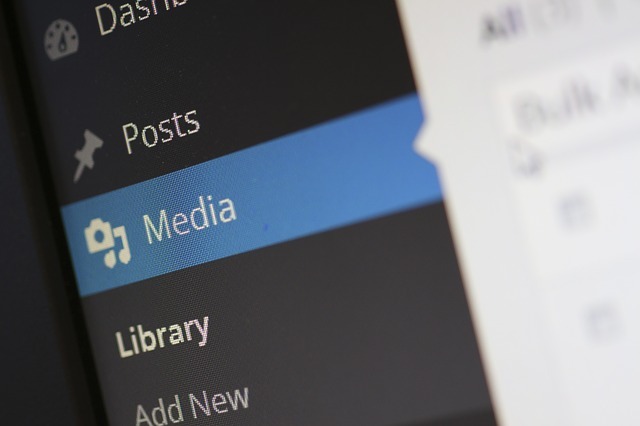 Now, you can get yourself an understanding of an approximate amount of posts is the ultimate amount for you. 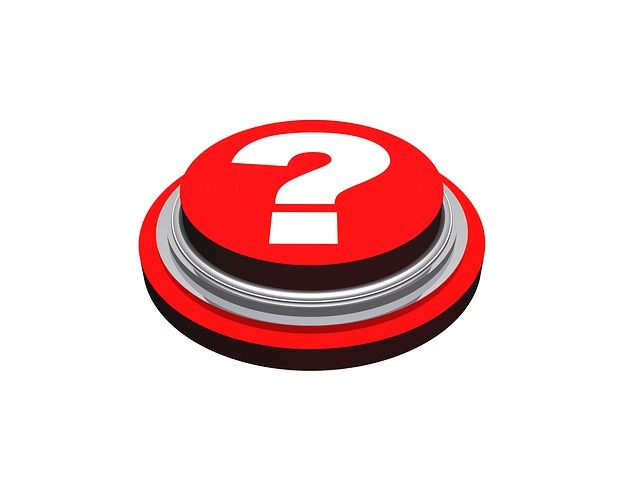 Why not just ask your followers how many posts they want to see because after all, it is your followers that are going to see your posts and they will of course know how many posts per day they want to see from you. You can ask that question by either just making a post and asking your followers, Direct message a few of your followers, ask them in a comment on their post and much more. 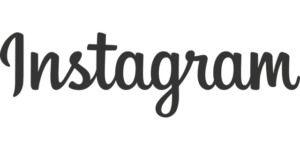 Engaging with users on Instagram plays an important role in growing your account. There are loads of tricks that you can use when engaging with users to make them more loyal and even make them followers to your page. The more users you engage with, the bigger chances someone will start to follow you. Just have in mind to not spam too much as Instagram can detect this and block you temporarily. 1. Liking photos on a specific hashtag. This is a great way to grow your followers. Go to a hashtag that is relevant to your niche because these users are most likely to follow you once they notice your page. Like around hundred images in that hashtag. You can’t like more than that in one go because of Instagram’s rules but like between 50-100 each time and you can be sure to notice a faster follower growth. This is a bit more personal and leaves a bigger impact than liking does which means that you are more likely to gain followers from it. Write a kind and interesting comment and possibly with a question so you can start a conversation and build up your relationships and gain more loyal followers. If you’re looking to increase your engagement and ultimately your followers on your page, answering to comments on your posts is a must. Many people are missing this part meaning that their followers stop commenting and some even stops following. Answer all comments on your posts and thank them for their kind words and support. This will make them even more loyal and recommend your page to their friends. If someone likes your pictures, go and like some of theirs! You might gain a follower just by returning a like! Simple as that. This is a trick that very few people are doing but it can help you get your name out there and gain followers. Turn on post notifications on some large pages and as soon as you get a notification that they have posted, go to their post and be the first one to comment. If you are always the first person commenting, people will notice and be curious what your page is all about. 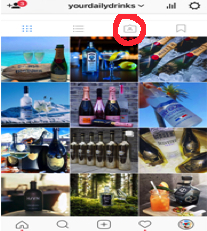 keep in mind when you start a new account, Instagram will not put your images into the hashtag feed – this is to prevent bots and spammers making new accounts all the time and spamming the hashtag feeds. Instagram will start showing after 2-4 weeks. Instagram gives you 30 hashtag spaces to use in the picture blurb. Use them. All of them. The whole point of using hashtags under your pictures is to gain more exposure when users search for specific hashtags and attract THE RIGHT people who genuinely are interested in what you have to show. When you go on to a hashtag, you´ll find that there is a “top section” and a “recent post” section. In the top section there are 9 pictures that have ended up there because they have gotten the most engagement among the people who have used that particular hashtag. Below the “top section” you will find the Recent Posts section, which are the most recent pics with that hashtag that you can refresh constantly (if it is a popular hashtag) and see that there are a lot of new pictures uploaded with that hashtag every single second. What we can learn from this is that there are two sections for posts – Top Posts and Recent Posts. But how can we take advantage of this? Well, as you may have guessed, recent posts is something you will not want to focus on. Why? because if you are using a hashtag that is popular, then your picture will not be visible for long because of the constant stream of new content being posted. With the top section however, it’s a little bit different. Top Posts is the section that will get your pictures more engagement due to the extreme exposure (again, if it is a popular hashtag) and more followers. On the top posts is obviously where you want your pictures to end up. If you´ve ever noticed that some of your posts has gotten way better engagement tha normal, then there´s a chance that you got featured into the Top Posts section. All hashtags have their own Top Posts section. The more pictures the hashtag has (the more popular it is), the harder it is to get featured into the Top Posts section. If you have a relatively small amount of followers and use hashtags that has several million photos posted with it, then you´ll most likely not end up in the top posts because there are larger accounts using the hashtag. The key is to target hashtags with lower amount of posts since the competition is lower and you have a bigger chance of ending up there. As mentioned, ending up there is what brings organic visitors to your account. The most important part of using hashtags is making them relevant. A tip is to see what hashtags your competitors are using and then steal some of them. If you didn’t know, you can tag up to 20 users in your posts when posting them. Tagging users that you have gotten to know on Instagram are great to tag as the chances of them commenting on your post is big. When you tag someone in your post, it will be visible in their profile, meaning that your post will get a bigger spread and hopefully help you gain more followers. Apart from an ultimate amount of posts, there are also ultimate times to post on as well. This is tricky, because Instagram has changed the algorithm on how it shows posts. However, most would agree this still matters a bit. There is no doubt that you want to be posting when your followers are most active. The best tool is to simple learn when the best time to post on Instagram is but for a bit of guidance, here is a chart of the general ultimate post times. Depending on where your followers are based, this can vary a bit but studies shows that there generally are good, bad and best times to post on. Before Instagram’s update, images could only be posted on the platform in a square format. However, after the update that removed this, there is a tactic that you can use to get better results. A longer vertically than horizontally utilize more screen real estate, and therefore spend longer on the screen when scrolling through a feed. Just ask yourself, would you want a smaller or larger billboard? The answer is quite obvious. Users that perform this trick are reporting that they are seeing a higher like rate on their images. A comment group is a group of maximum 15 people on Instagram Direct message. This is usually a group of users that are posting content within a similar niche. When someone is posting something, they let everyone in the group know about it and everyone goes and comments/likes it. By doing this, you boost your instant visibility of the post and increase the likes/followers and comments of your page. If you have decided on a niche that you should have done by now, you probably have some competitors that have way bigger pages than yours. Go to their page and check out the users that have like and commented their posts. The people are most likely interested in what your competitor are posting, meaning that they probably will be interested in what you are posting. Go to the accounts and like/comment on their page and you can be sure to receive targeted new followers. Creating your own hashtags can be a great way to create a movement. Make a hashtag of your business name or username for example and ask people to use it. To motivate people to use your hashtag, you can give away free shoutouts to those who are using your hashtag or you can arrange giveaways! 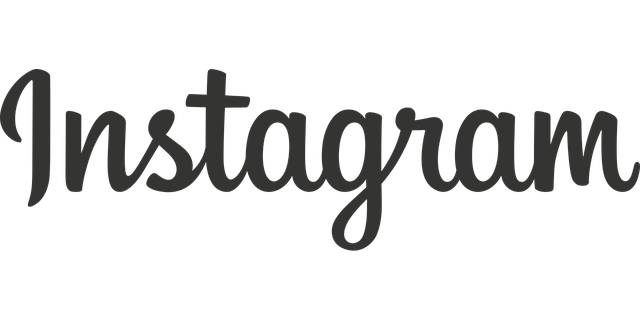 As you can see, there are an awful lot of things to have in mind and know about on Instagram and hopefully, this article have helped you (if even just a tiny bit) grow your Instagram page. Let us know if you have any more tricks to growing your Instagram followers in the comment section below! PrevIs Adaption Key to Success in Social Media?